My concerns about the demise of child protection systems and the undermining of professional skill and specialism in this area of social work have been well documented in academic texts, journal articles, newsprint and radio/ television programmes. The refocusing of children’s services away from proactive child protection investigation and intervention was progressed by government policy from 1994 onwards and greatly accelerated in 2003 by the Every Child Matters agenda following the Victoria Climbié Inquiry (Laming, 2003). In 1994 Wendy Rose, Department of Health, posed the question as to what the political reaction might be to some ‘hard-end cases being missed’ as a result of the policy shift towards a prevention approach as an alternative to protection (Rose, 1994 p4). Lessons from recent serious case reviews and studies of child deaths from abuse must now indicate the urgent need to redirect policy to include both prevention and protection not as an either/or but as two essential strategies in safeguarding children from harm. I am aware of much public and professional debate about workforce issues relating to child protection practice such as very high caseloads, inexperienced unqualified and newly qualified staff holding child protection responsibilities, a lack of accountability of agency staff, managerialist and bullying cultures, lack of high quality supervision, resource – led decision making , technology and target driven casework, unrealistic and imposed timescales and anonymised, unsafe work environments. All of these factors have contributed to the child protection service having been broken to the point of now barely functioning to protect the most vulnerable children from harm. It is tragic that a system developed since the 70s, based on knowledge gained from numerous child abuse inquiries, and which practitioners valued as effective in protecting children, is now so destroyed. I have studied in some depth the recent case of the death of Baby P having had access to partial but relevant detail of the case from a range of publicly available sources. As the expert witness for both Lisa Arthurworrey and Nevres Kemal, I have also been able to make comparisons with their role as former Haringey social workers. I was hoping to participate in and contribute to a focus group as part of this review but regrettably this opportunity was not available to me. BASW, in their submission to the review, did recommend that such a meeting should take place with academics who have contributed to knowledge in this field. I have decided to focus my submission specifically on a summary of key concerns relating to child protection policy and practice and to include questions relating to the Baby P case. These concerns are derived from contact through training courses and other forums with social workers, police and other professionals particularly from the London area. I have also gained knowledge of current practice from social work students on placements in London and from the many professionals who contact me for consultation, advice and support with regard to child protection practice. The split between the role of the police in the investigation of crime and the role of social workers in the assessment of need has led to an undermining of the role of police and social workers in working together effectively in the joint investigation of actual or likely significant harm (S 47 CA 1989). This has led to a reduced multi agency focus on the targeting of perpetrators and a lack of knowledge about and implementation of investigative procedures, including those relating to organised abuse. This division of function was developed following Recommendation 99 of the Victoria Climbié Inquiry report (2003). Did a police focus on crime distract police attention from the investigation of actual or likely significant harm? Did a lack of joint investigation lead to reduced awareness of and sharing of information about the background of adults in the case? Was there a S47 coordinated multi agency investigative strategy for targeting the known or suspected abusers? Was the focus on the known or suspected abusers of Baby P limited to the remit of the police acting single agency ? Should an awareness of the history of adults in this case have led to implementation of organised abuse procedures? Communication between social workers and police through strategy discussion seems to have largely replaced the practice of convening strategy meetings. Strategy meetings are the cornerstone of multi agency child protection decision making and planning as outlined in Working Together to Safeguard Children (DfES, 2006). Omitting to convene such meetings results in other agencies having a peripheral role in the investigation and consequently much important information remains unshared. At a recent BASW meeting it was the view of many social workers in London authorities that strategy meetings no longer take place. Were strategy meetings convened and actioned appropriately throughout the case? Were strategy meetings convened in response to every new incident of actual or likely significant harm? Had the social workers chairing the strategy meetings completed advanced level child protection training? 3. The flawed and misleading guidance in section 5.60 of ‘Working Together to Safeguard Children’(DfES, 2006). Section 5.60 states that a core assessment is the means by which a S47 enquiry is carried out. This is wrong. This statement needs to be altered to state that a S47 may include a core assessment. This flawed policy guidance has led to social workers thinking that by conducting a core assessment they are fulfilling all their S47 duties and as a result joint investigation processes are not being followed. A social work focus on assessment of the child and family needs and the implementation of a family support approach may, at particular times and in certain situations, conflict with and distract from the joint investigation process. Did the completion of initial and core assessment protocols distract social work and other professional attention from the joint investigation of actual or likely significant harm? The abolition of the child protection register, recommended in the Victoria Climbié Inquiry report, has led to confusion and chaos amongst child protection professionals. Although it was not abolished until April 2008, the use of the register had already been substantially reduced as compliance with performance targets took precedence. Star ratings were more easily achieved with lower numbers of children’s names on the register. In the absence of the register, child protection plans are now being made outside statutory forums and alert systems to emergency services vary from authority to authority leaving dangerous gaps in the protective systems. The abolition of the register has led to a reduction in the status of a child protection conference with increasingly limited attendance by key agencies. There is also a risk of an increased number of children being the subject of child protection plans and swamping an already overloaded system. The child protection register must be urgently reinstated together with the professionally skilled and specialist role of Custodian. The register was abolished on the basis of no research findings (Dhanda,2007) and it was the one procedure that might have protected Victoria Climbié. The core assessment pro forma is not the appropriate means of providing succinct information for a child protection conference and does not allow for professional understanding and analysis of the risk factors. If there are several children in the family the volume of core assessment material is vast and is not fit for the purpose of analysis at a 1-2 hour conference. Was the child protection conference process informed by S47 joint investigation? Did the police and other agencies participate fully in the process in order to contribute to multi agency analysis of the information from the S47 investigation? As the case progressed there were numerous incidents and events requiring multi agency collation and analysis. Were these incidents and events constantly reviewed by a multi agency investigation team, including the child protection doctor, and the analysis relayed as appropriate to the child protection conference? Was the protocol of the core assessment record presented to the conference fit for the purpose of enabling in depth analysis of the need of the children for protection from harm? 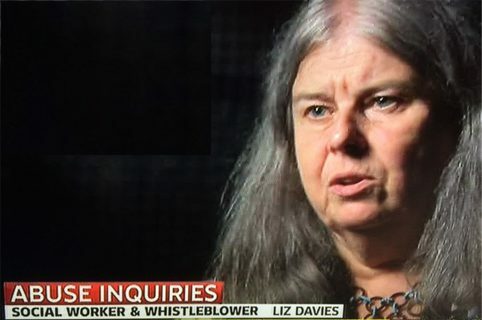 What was the input into the case of child protection specialist advisors? Was there a reliance on the core group post conference rather than strategy meetings including police investigators? Advanced child protection training for police and social work investigators is not currently a requirement for social work child protection practice and is generally available only to those police working in the Child Abuse Investigation (CAIT) teams. A two week Joint Investigation and Investigative Interview course for police and social workers is delivered once a month in London for 6 social workers and 6 police officers. This represents a substantial reduction in the availability of this training. The same course was, only a few years ago, delivered in each Borough several times a year for social workers and a range of police officers, including the CAIT teams. Lisa Arthurworrey had not accessed this level of joint training with police and this was a central reason for her lack of understanding of the processes of child protection investigation in the Climbié case (Pearl, 2005). Had the key professionals involved with the case from all agencies completed any level of post qualifying training in child protection work? Had the police officers and social workers conducting the child protection investigations completed advanced joint police/social worker training in investigative and interviewing skills? Was introductory level ‘ working together’ child protection training available to those working in child protection in Haringey at the time of the Baby P case? Was the joint investigation and investigate interviewing course available to police and social workers in Haringey during the time of the Baby P case? 6. Social work practitioners have in practice lost the authority to apply for legal safeguards for children and are discouraged from pursuing cases as S47 child protection and from obtaining placements in care. Seeking legal safeguards for children such as Care Orders or Emergency Protection Orders (EPO’s) has become very difficult for social work practitioners and decisions to apply for court proceedings are largely resource led. Many social workers have told me that they are not allowed to apply for EPO’s but must always instead ask the police to use their powers of protection. Some have told me how they were instructed not to pursue care proceedings in cases where they knew the children to be at serious risk of harm. In summary, social workers have been informing me that they find themselves blocked from using legal proceedings in order to protect children. Others have said that they are not allowed to define a case as child protection because of the core assessment resource implications and they are instructed to respond to child protection cases instead as S17 children in need. Also, because of resource limitations social workers report being discouraged by managers from obtaining foster are and other placements for children. Some social workers report having to present their cases to panels which included accountants and being told instead to find carers from within the family network. Was the decision not to apply for legal safeguards influenced by resource led decision making and did it reflect a managerial and organisational culture of avoidance of such applications for legal proceedings? Did managerial control of resources impact on social workers’ applications for care placements in the case? If so was this indicative of an organisational culture? 7. The blurring of professional boundaries as other workers take on social work roles. Staff in children’s centres, family support workers and social work assistants are among staff increasingly engaged in direct work with families at the initial and subsequent stages of assessment processes. Most deaths of children from abuse occur because, once referred to children’s services, the cases do not become defined as in need of protection and S47 procedures are not implemented. The initial response to referrals is therefore crucially and essentially the task of a skilled child protection social worker. Did the social work role in the case become at times secondary to that of inexperienced workers from family support services who had the main contact with the children and other family members? Did the support workers in contact with the family of Baby P have training in child protection? Did the agencies supplying the support workers have comprehensive child protection policies? Social workers speak of computer systems not working for days when they have been unable to access any information about children and families and archived files containing important family history can take up to 6 weeks to obtain. Some IT systems do not allow a social worker to begin a S47 investigation until a 7-day initial assessment has been completed – the IT limitations thus driving poor practice. The completion of the Common Assessment Framework and Initial /Core Assessments can seriously delay the S47 process being commenced or actioned and do not provide a skilled assessment of risk of harm to a child. The procedural, tick box approach leads to false positives and false negatives because of the lack of professional analysis and application of judgement in each case. Some of the core assessment questions are discriminatory when used in the context of a child abuse investigation. Most concerning is, in some authorities, the relatively easy access to children’s files, which includes child protection plans, by anyone with authority to access the children’s IT system. The need to know basis of sharing information within child protection has been replaced by the need to enter the data on systems which are not secure. I recently unsuccessfully challenged a voluntary organisation because their referral form included ,‘ subject to a child protection plan’ ,as a tick box for a referral to a mentoring scheme for young people. Highly sensitive information about complex and often dangerous situations involving children and their need for protection is now accessible to a wide range of staff in a wide range of agencies. This allows for little professional accountability and child abusers will undoubtedly more easily target the most vulnerable children. In the past child protection register information was only accessible with the permission of the custodi an of the register which was a specialist social work appointment. Access is now controlled by an IT manager. Did the demands of data entry and/or IT systems that were not ‘fit for purpose’ lead to delayed protective intervention or impact on the professional time available to investigate actual or likely significant harm to the child/children? Did volume of work impact on the ability of staff to respond to the demands of data entry? It was only when the detail of Lisa Arthurworrey’s large and complex child protection caseload became available to the Care Standards Tribunal (Pearl,2005), that a proper and full assessment of her role could be made. Has a workload and caseload analysis been conducted for the key professionals involved in the Baby P case and has this been related to each practitioner’s level of experience and training? Was the Signs of Safety approach applied in the Baby P case? If the Signs of Safety approach was applied in the case, what was the impact of this method of working in the case? There is now a cost involved in social workers obtaining legal advice and protocols for consultation have been formalised. The constant debate that used to exist between social workers and local authority solicitors is now a rarity. An example of this is the now limited attendance of lawyers at child protection conferences and strategy meetings. Did the lawyers involved in advising social workers in the case have experience of child protection work ? What child protection training was in place for Haringey local authority solicitors? What were the cost implications of a social worker seeking legal advice? Were there obstacles to social workers gaining immediate legal advice when it was needed? 12. The division between children and adult social work services. The Baby P case provides a clear example of the need for children’s social workers to have knowledge about work with adults. It is essential that social work degree courses remain generic and provide a knowledge base in both. Some specialisation can take place at level 3 of the course but most is appropriately provided at post-qualifying level and delivered jointly with colleagues from other agencies. Did the social workers in the Baby P case have a standard of training, during their diploma or degree courses, to provide them with a knowledge base to equip them to work with both children and adults in the case? Increasingly senior management posts related to children’s social work are occupied by people with no background in social work. This is undermining of the profession and sends a message to children’s social workers that there is little or no opportunity for career progression to senior levels of responsibility. There is also the risk that attempts by social work staff to raise serious concerns about practice will be unheard by those without the knowledge to comprehend the implications of the concerns raised. This was my experience in Islington when the Director was from a Housing background. Has there been an analysis of the child protection training and child protection practice experience of senior managers in all agencies with responsibility in the Baby P case? Dhanda, P (2007) Response to parliamentary question by Annette Brooks M.P. 5 February 2007, London: Hansard. Rose, W (1994) An overview of the developments of services – the relationship between protection and family support and the intentions of the Children Act 1989. Department of Health paper for Sieff conference, 5 September. Cumberland Lodge.